The March issue of True West Magazine has a strong Steampunk component. I am proud to say I contributed a 7-page article to this, reporting on the increasing interest not only in the Steampunk phenomenon as a growing subculture, but a rising tide of Western focus within the larger movement. 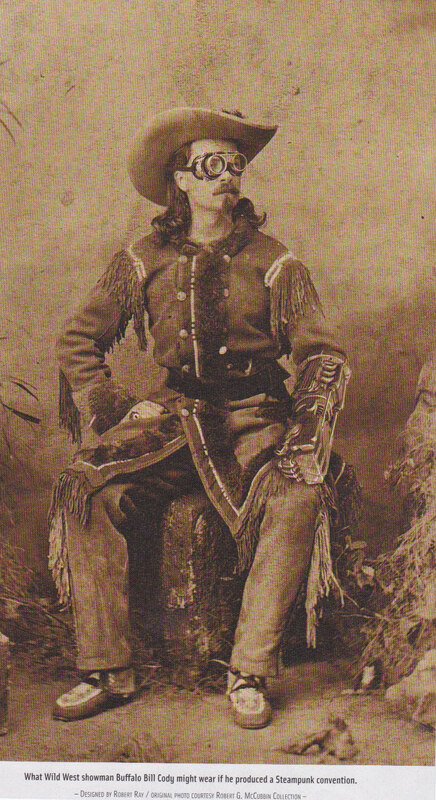 While many still insist Steampunk does not truly exist outside the fantasy parameters of Victorian London, we westerners can rightfully claim that the first modern expression of the Steampunk aesthetic was born in the 1960’s CBS television show, “The Wild, Wild West.” This unique show highlighted the actions of James West, a dapper 1870’s Secret Service agent who traveled the West in an elegant train car and used amazing scientific gadgets to fight crime and protect President Ulysses S. Grant. 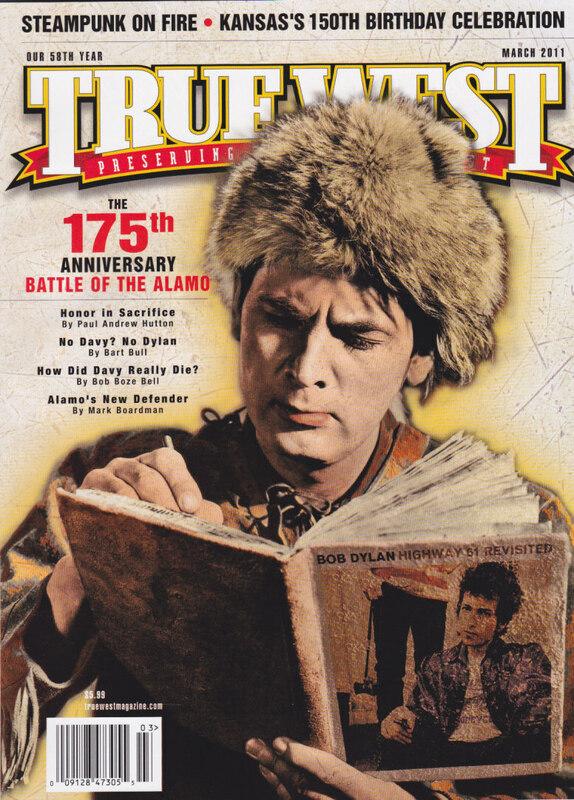 The editors of True West Magazine apparently agree in that they have added an interview with Robert Conrad, the actor who portrayed James West in the TV series, to the March issue. The True West issue also includes a beautiful 6-page Steampunk fashion spread, not to be missed by anyone loving modern reinventions of Western Victorian style. March will also see the debut of Wild Wild West Con Steampunk Convention in Tuscan. So exciting! I am glad to see the growing interest, or returning interest. I'm also intrigued by the scheduled reboot of the Wild, Wild West in T.V. form this year as well as the Movie coming out, "Cowboys and Aliens," with a star cast. I am hoping that these things are high quality. While I still haven't seen the film Jonah Hex, I have heard nothing flattering about it. I will be attending the Wild, Wild West Con this March as well. (are you planning on attending?) This seems to be shaping up as a great year for Weird West. oh, and congrats on the article! Thanks, David! I won't be able to attend Wild Wild West Con this year, but I hope it becomes an annual event so that I can go next year. Hope you will share all about WWWC. I'll be anxious to hear about it. will do. Maybe one of these days we'll cross paths at a con. Viva, indeed! I guess I came to SP through a Deadlands/Weird West path.